In a week that lets Formula 1’s “silly season” look like a kindergarden Xray announce that the Slovakian company and French factory team driver Renaud Savoya are ending their professional relationship. Xray’s Juray Hudy states that both parties split in a friendly way. Firstly I would like to thank the Hudy family and the Team for all the efforts they made to make me feel comfortable and competitive. 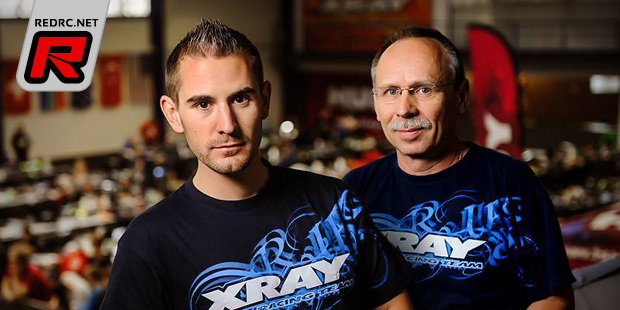 Juraj and the rest of Team Xray have been working extremely hard and diligently on continual development of their products, and I was very happy to be part of their high-level development; also, to see their in-house production firsthand was another great experience for me. Over the last few years we have enjoyed great results, including European Vice-Champion title, C-netic win, first non-American on the Dirt Nitro Challenge podium, TQ at the Neo race, and many other podium finishes at major races. Despite having a long term contract with Xray and sharing the same vision for professionalism and long-term strategy, a business opportunity has crossed my path and I do not want to miss it. After much consideration and discussion with Xray, I am happy to announce that we mutually agreed to end our professional association so that I can take up this new challenge. I would like to thank everyone on the Team, and I sincerely wish them all the very best in the future. Reno has been a great ambassador for Xray, and I was very happy to have him on the Team. His drive for maximum performance was certainly part of the driving force that pushed our development and made us strive to better our products and support for our customers. As our business strategy for France includes on-going cooperation with our long-time distributor RB Products, we have mutually agreed with Reno to part ways in a friendly way so he can accept another business opportunity that he has received. I would like to wish Reno the very best of luck in his personal and RC life as well.